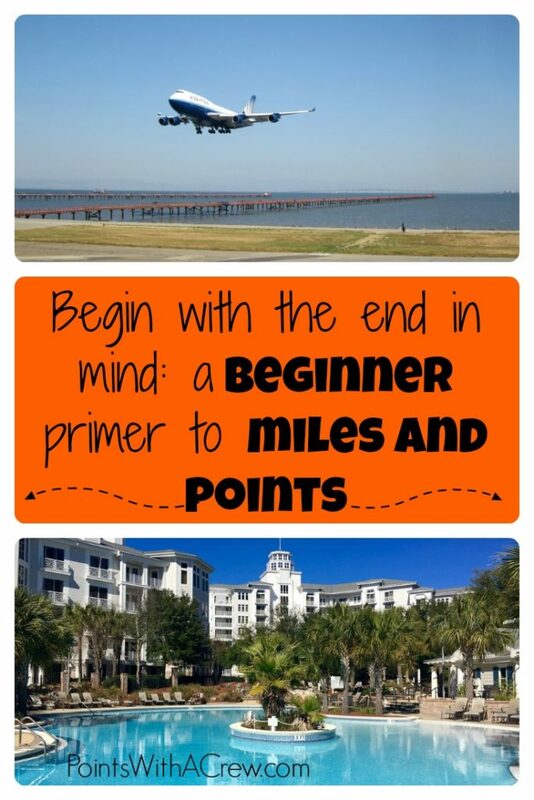 Welcome to another entry in my “Beginner’s Guide“, which is a series of posts written with beginners to miles and points in mind, and totally ripped off borrowed from Stephen Covey (it’s Habit 2, people!!). So what does it mean to begin with the end in mind? Simply, if you’re going to get started, you need to figure out WHERE you want to go first, and only THEN figure out how you’re going to get there. If you’ve taken good care of your credit, your easiest source of miles is going to be signup bonuses from credit cards, but it doesn’t make sense to just sign up for a credit card because it has a big number of points in a letter you got in the mail. It does no good to get a ton of American Airlines miles only to find out the place that you want to go is best served by Delta or United! Hi Dan. Loved your segment this morning! I have one place in mind that I need your best advice. My daughter is having a baby so I plan on flying from the Elmira-Corning airport in BigFlats to Phoenix Sky Harbor airport in Phoenix AZ at least once per year but hopefully twice. 99% sure I will always fly Delta. I have great credit, score 840. What would u suggest for me? Can’t thank u enough for your advice. I want to bring my crew (wife & 2 daughters) to Hawaii. We live in Louisiana. Apparently I can swing the lodging costs, but I just can’t wrap my mind around the cost of the flights!! Please advise. Hi Dan! Thanks for your the great ideas. Does your strategy work well for international as well?